Home » Can Pokemon Go Attract New Students To Your School? Personally, I do not play computer games. But that is just me. 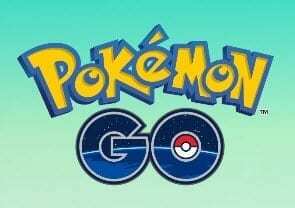 MANY people of all ages do love computer games and the newest interactive mobile game craze is Pokemon Go. Pokemon Go is a new app that makes a walk around your neighborhood, town or city into an augmented reality game, and it’s spreading like wildfire. The app has been downloaded 7.5 million times and as of this article has double the engagement of SnapChat and is surpassing Twitter in its percentage of daily active users. Would you pay $15 (Regular $37) to learn everything you need to know about Pokemon Go? Even if you do not care to learn about Pokemon Go yourself, would it be worth $15 to empower a staff member or some of your students or parents or your PVT Committee to test it for you? Well here is an online course designed to teach you (or whoever you assign to test out Pokemon Go) everything they need to know about using Pokemon Go to market your school. Video Course #1: What is Pokemon Go, PokemonGymn and PokeStop? What Is a Psychological Pricing Strategy? Are you addicted to Facebook without even knowing it?